After a busy 8 years, filled with ups and downs, Metallica return with their new album 'Hardwired to Self Destruct', and once again set the standard for what it takes to be the best heavy metal band in the world. 12 long tracks required the CD version to be a double-album, but they also released a Deluxe, 3-disc version packed with bonus studio and live tracks. However, the most interesting trick they did this time was the complete album being released on youtube. For every track they filmed a music video to accompany it. In recent years, with the ever advancing technology interface and how music fans follow their favorite artists, bands have been releasing more and more music videos on or ahead of the release of the actual album. As a response to widespread illegal piracy of music, this has been a way for the artist to respond and retain enough appeal to keep fans engaged, consuming, and sharing the music. Here's an article from Medium.com about this trend. In any case, Metallica take the idea to the max: including a full music video for every song on the album. In some ways this is a challenge for the listener. I'm still accustomed to hearing music first, before seeing a video adaptation of it. Here, the availability of a video-element for each new song gives the listening experience a completely new dimension. I'll try to review each song in terms of both the music itself, as well as the video. I find in some cases an enticing, captivating and well-directed music video can make a mediocre song more enjoyable. On the other hand, a great song can also be the victim of a lack-luster video, and detract for the experience of enjoying it for what it is. You'll see what I mean in my annotations that follow. Video Style: Band-jam, Black and white, revolving camera-angle with strobe-light effect. Video style: Making-of, Studio recording and outtakes. Song style: Thrasher, fast-paced with some progressive elements, great two-part guitar segments. Truly, 'Atlas, Rise!' is one of the best songs on this album. Metallica utilize 2-part guitar melodies and riffs in a way that often reminds me of classic Iron Maiden, especially at the 'breakdown' segment of this song around the 4:20 minute mark. I only give the video 4 of 5 here because although it is cool to have a 'making of' video to get a glimpse into the studio life of the band, again the lyrics of the song could have been utilized for visual enactment in some manner. I confess, I am intrigued by Greek mythology, and all the references to Atlas bearing the burden of holding up the sky are lost video potential to me. This is definitely one of my favorite songs, if not my top favorite from this album. It doesn't kill you with fast tempos like 'Hardwired' did, but rather hangs around the slower-mid-tempo range throughout. 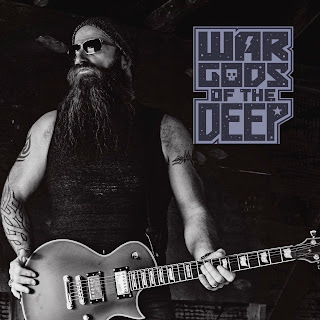 Its riffs are very catchy and the rhythm plods along infectiously. Kirk Hammett adds some top-notch guitar soloing too. Hetfield's lyrics are genius for this song as he utilizes a repeating structure, "When ____, then may it be that ____. ", and each line is a philosophical critique of life, death, religion, and many other relevant debates. Video Style: Band-jam with visual effects, cameo of a CGI moth that swarms to the light. 'Moth Into Flame' is an all-around winner of a song and one of the best on this album. 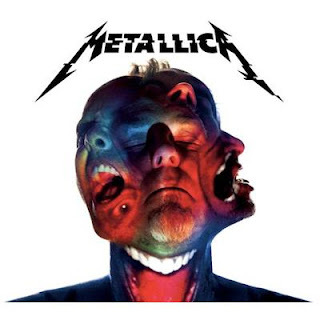 It has so many essential Metallica ingredients: speed, complex and ever-changing guitar riffs, breakdowns, fast and furious vocals, a great guitar solo from Hammett, and excellent lyrics about the perils of over-inflated self-worth, fame, and narcissism. The video plays off of the 'Hardwired' video at the start and the band-jam is within a television that is attracting the metaphorical moth. Video Style: Band-jam with visual effects, Green-screen/silhouette effects. Images are projected onto the band while they play. Song style: Slow-tempo, heavy sound, higher pitch vocals. This song shows Hetfield stretching his comfort zone vocally. He sings in a high-pitch style in this song for the majority of the verses while reverting to his comfortable deep-throat growls during the bridges and choruses. Musically it reminds me of a couple other Metallica songs: 'The Thing That Should Not Be' and 'King Nothing'. It has that level of heaviness and of course the slow-tempo begs these comparisons. The more I listen to this song the more it grows on me and Metallica recapture their mastery of the heavy, slow-tempo grinder. Song style: Heavy/Clean tone-changing structure, softer segments give way to heavy passages and vice versa. A true Metallica classic! 'Halo on Fire' was the kind of song I was waiting for from Metallica. This is comparable to 'The Day That Never Comes' from the Death Magnetic release, and hearkens back to true classics like 'Fade to Black' and 'Welcome Home (Sanitarium)'. The tone-changing cycle within the song- as guitar migrate from clean and pretty melodic phrases to heavy distorted riffs and back again, is to me where Metallica's true calling lies. The video, however explores a different story line than the lyrics might imply, given that the lyrics are abstract at best, and dwell on enigmatic symbolism throughout. Still, the story told in the video portrays a young lady that ventures from her desolate home through city streets to a destination where her hobby of street-fighting is revealed. Much social commentary on gender roles in this practice can be perceived. Video Style: Scripted/acted story line, tells the story of war veteran returning to society. 'Confusion' is a clear example, in my opinion, of a well-directed and well developed video concept that takes an average song and makes it a rewarding viewing and listening experience. There is more value to the art of music in this case because of the visual elements in the video. Musically the song is another mid-tempo heavy number that doesn't do much that really impresses me. Without the video here, I'd consider it a 'filler' track. The tempo and tone of this song do remind me of some of Metallica's work from the Load/Reload era. However the story told on-screen in the video is captivating. A young woman flashes back and forth from a present day life in a corporate desk-job environment to a tense, middle-eastern armed conflict where she was previously an armed combatant. It portrays the challenges of adjusting to civilian life after traumatic battle experience in the armed forces. 'ManUNkind' is an interesting video to watch. Again the song is somewhere in the middle of the pack for quality, and originality, but the video is a clever take on the band-jam atmosphere. The Twist with this one? The real guys in Metallica never actually appear in the video. Rather, there is a band of 'other guys' that mime, lip sync, and 'play' the song for a small-venue audience. 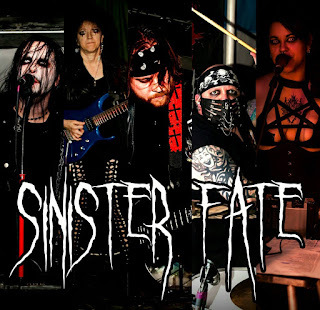 The impostors use some kitchy props and dress in some more modern and underground metal-esque garb complete with some corpse paint. Although I think the video's concept is high on the entertainment factor, I cannot overlook the fact that Trivium did a very similar thing in their video for "Blind Leading the Blind" previously, which is the only reason I didn't give the video element of this song the full score. Song style: Heavy/Clean tone-changing structure. Another easy favorite from this album, 'Here Comes Revenge' is both a bit of all Metallica's tricks rolled into one yet also sounds completely new and fresh. You have minor-key melodies of clean guitar, and building of pace and heaviness to a chorus that is faster and heavier than the verses. Fans of classic Metallica songs like 'Fade to Black' or 'Welcome Home (Sanitarium)' should be happily impressed with 'Here Comes Revenge'! Video Style: Scripted/role-play interspersed with snippets of band members. The video for 'Am I Savage?' is another example of song that doesn't particularly stand out, but the video tells an interesting story. 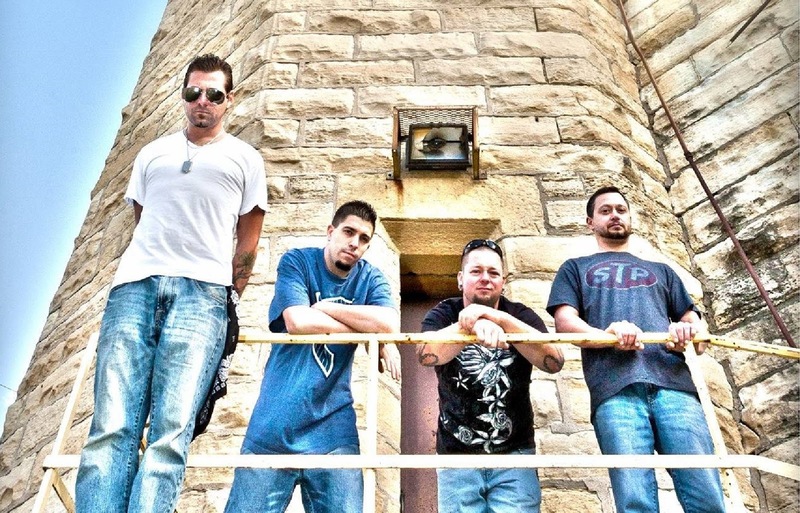 The song itself is another mid-tempo, groove-metal number. There is a short intro of clean melody, but overall I find it mediocre musically. The video, however, is a clever concept. You have a main character: a guy with a regular family, job, and group of friends. He is the only character portrayed with visual detail, all the other characters, weather friends or family, are depicted as featureless nondescript 'people' covered head to toe in plain white fabric. After each 'day' in this guy's life, he replays each scene by himself while going insane. The point seems to be that we live our lives confined to the identity that others see in us, while our inner tensions and rage must remain concealed. The insane side of this guy's personality represents that primal nature let loose without restraint. 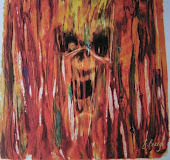 Murder One is perhaps unique among all the songs on this album in that it is inspired by, and a tribute to, the late Lemmy Kilmister of Motorhead fame. Many lyrical references to Lemmy specifically, and Motorhead in general can be found by the acute listener. Lemmy died of cancer on December 28th, 2015. Metallica have always cited him and Motorhead as a major influence in heavy metal. This song is meant to capture the essence of Lemmy, and his attitude toward life and music. 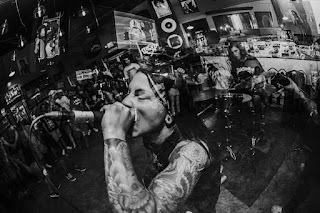 Like the opening track, Spit Out The Bone is an all-out thrasher of a song that pushes the tempo to the limit. A fitting way to close the album, and the lyrics make some connections to the album as a whole, even mirroring in some parts of the opening title-track. The theme is that humanity is falling victim to an apocalypse at the hands of their own creations: machines and technology. The video plays out like a mini-movie as human characters are portrayed as a militant resistance to a technological apocalypse. They are slowly eradicated by drone-type machines that disintegrate the humans, leaving only their skeletal remains. With so many great songs on the album already, I still feel this one is worthy of mention near the top of the list. This was one of the songs that Metallica promoted way ahead of the album's release, that it almost seems unfair that they put it on the 3rd disc of the Special Edition of this album. Lyrically the song is all about the touring life of a heavy metal band. The song does click along at a pretty fast clip, although perhaps not quite as much as the title track or Spit Out the Bone, it is still every bit as worth of your time! The video, likewise, plays like a tour-documentary, showing the set-up, tear-down, and all the mayhem of putting on a live show. Proudest Angel, reigning Independent Band of the Year, are filming a video for their upcoming single 'We Had Fun' on Sunday August 13th starting at 10:00am. Extras are wanted!!! The venue is the Elbo Room on Chicago's North Side. Not busy? Drop on in and be in a music video! This is a FREE EVENT! If you're not tied down by work-schedules, hobbies, or ropes then there's really no excuse to miss this chance for 15 minutes of fame! It is never easy to hear about a beloved musician passing away. On Wednesday, May 17th, we lost Chris Cornell, the founder and front-man of Soundgarden, and Audioslave, when he tragically took his own life. I heard the news the following morning. How do I say what Chris Cornell's music meant to me? I was not a fan of grunge when it first came along. As an MTV kid, I wasn't into their music videos, and I didn't buy into the Seattle grunge bands nor the alternative rock scene until years later. But the seed that planted an appreciation for it in my mind wasn't from Pearl Jam, or Alice In Chains, or even Nirvana. There was no video that sold me. No radio single that caught my ear. Rather it was an automatic 'selection of the month' shipment from one of the mail-order music clubs I forgot to respond to (I think it was Columbia House, but it could have been BMG- remember those?) It was Badmotorfinger- by Soundgarden. I might have heard 'Jesus Christ Pose' once or twice, and not particularly cared for it, but the opening track, 'Rusty Cage' had me hooked. Badmotorfinger grew on me as a whole. 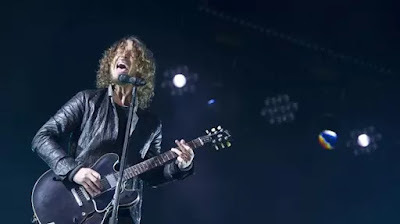 After just a couple listens through it, front-to-back, I had numerous favorite songs, and had become fan enough that when SuperUNKNOWN hit a couple years later I was ready for it, and would follow Soundgarden, and Chris Cornell, through all his other projects and bands from that point on. His songwriting and vocal abilities were so unique, so versatile, and appealed to the fan in me that appreciated heavy music, strange music, acoustic music, melodic music, grungy music... and now that voice has been silenced. Remember Chris Cornell through his music, celebrate his life through his lyrics, and reach out to support those in your own life who may need help, who may be struggling with depression, or any challenging issue, health related or otherwise. Life is precious. I for one will miss his voice, and mourn the loss of all his words and songs that will forever remain unwritten. ...and since I can't stop there, here are a few rarities and covers Chris Cornell has done recently that are fitting testament to his captivating vocal abilities. 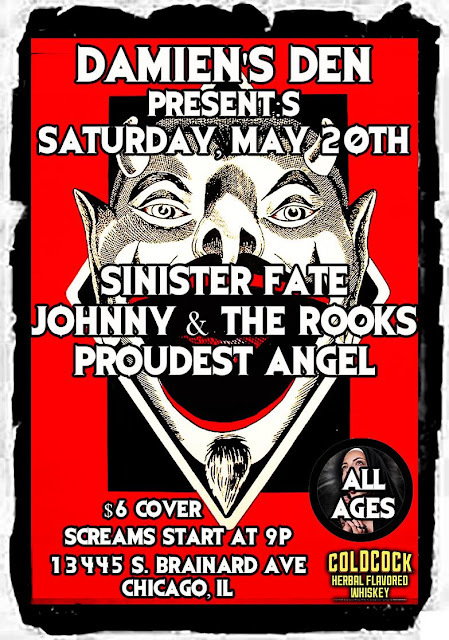 This Saturday, May 20th, 2017, Independent Band of the Year PROUDEST ANGEL return to the Chicago local scene, performing an all-ages show along with Johnny and the Rocks and Sinister Fate at Damien's Den, 13445 S Brainard Ave, on Chicago's south side! 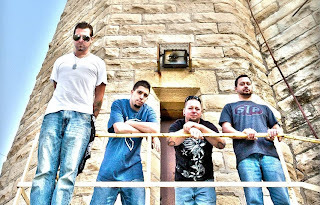 Proudest Angel had been broken up for over a decade before the paths of former members would meander back together and bring some new faces into the fold. Enter 2016, and a reunion of sorts for this underground heavy rock band has commenced. This time around, who knows where it will go, but so far they already have a collection of new recordings in the books: The Soundtrack to Your Next Bad Decision. 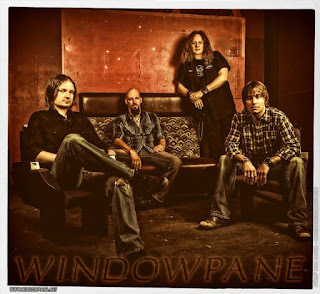 Their style is a raw and heavy, riff-driven fusion of alt-rock and metal. 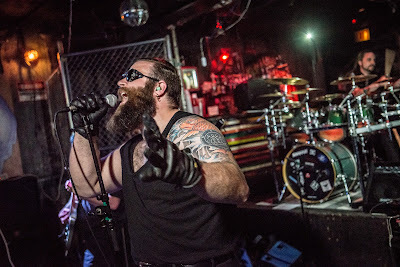 Vocalist Bill Paimon was previously in Sutured Psyche, another band I've reviewed on this blog before. His vocal style remains consistent from that band to this, but the instrumentation and direction of the band is heavier. For all intents and purposes it is fair to think of Proudest Angel as a 'heavier Sutured Psyche', for those familiar with them. However, Proudest Angel's original iteration predates Sutured Psyche's. Their early recordings can be found on their CD, Skeletons From the Closet. I may review those songs later on, but now is a time to focus on their new recording. With The Soundtrack To Your Next Bad Decision you get a good sampling of what Proudest Angel have to offer. For those who know them from their early days, the sounds are familiar. 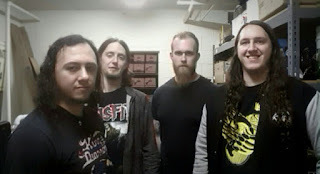 They primarily deliver some heavy riffs in a mid-tempo song structure. They do include a couple songs (Anathema, Canto Dolor) with melodic clean guitars, or slower tempos, but they always come back to the faster heavier formula in the end. They even have an unusual choice of a cover song; Lady Gaga's 'I Like It Rough'. 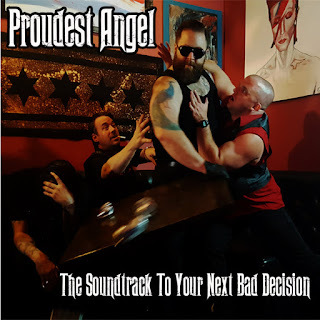 The Soundtrack To Your Next Bad Decision should be enough to remind the old fans of what Proudest Angel were, as well as showing them what they have now become. As they continue to play shows in the Chicagoland area and write new songs it will be interesting to see where they go from here. 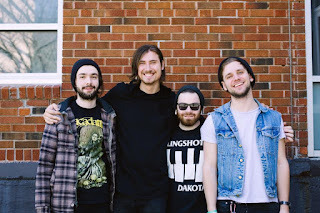 Civilly Feral- This one is their first single, and music video, in support of this release. A groove-heavy headbangin' tune. Starlight- One of my favorite tracks. Fast, heavy, and they mix things up with a cool breakdown segment. Shoulda Known Better-This one is a straight-up rock and roller of a song! We Had Fun-This one is a slower-tempo grinder of a track for the most part but there is a point about 3 minutes in where they skip over to a double-time feel.